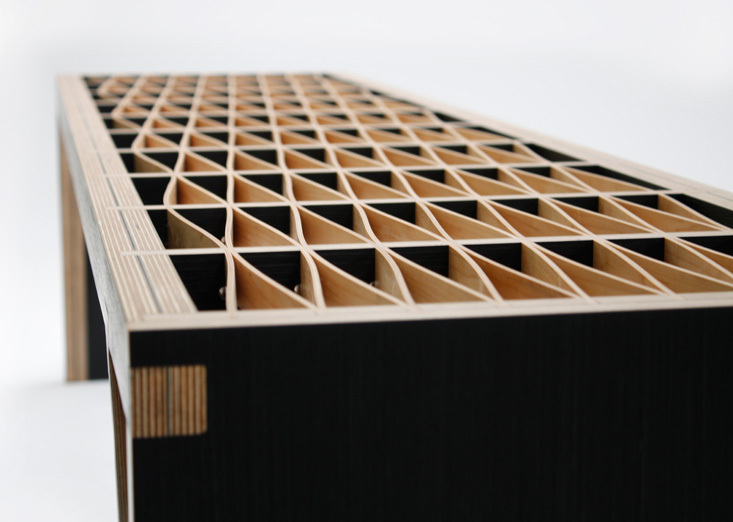 Materials: FSC certified birch and maple plywood. Glass table tops. 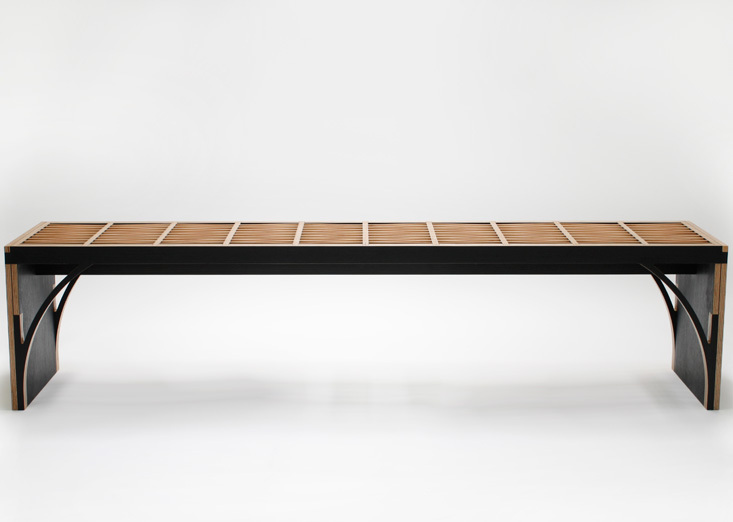 The Flex line of pieces have seating and tabletop surfaces made from thin strips of plywood. 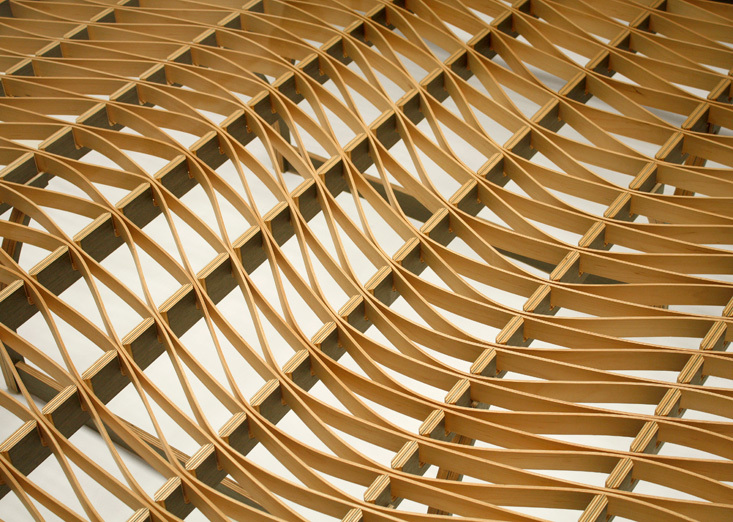 By twisting and bending these thin elements a rigid structure is created, which although very strong is both visually and physically lightweight. 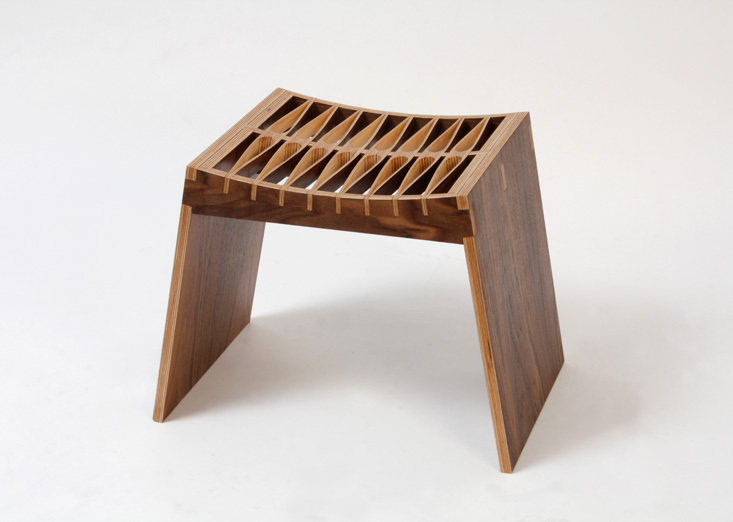 This collection was a Mexican national selection for the Iberoamerican Design Biennial 2010 in Madrid, Spain. 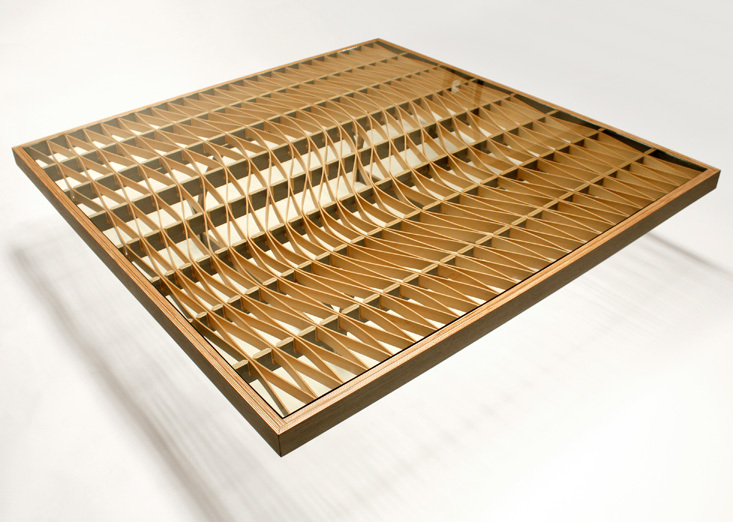 The coffee tables features a stretched pattern of undulating lines that support a thin glass top. 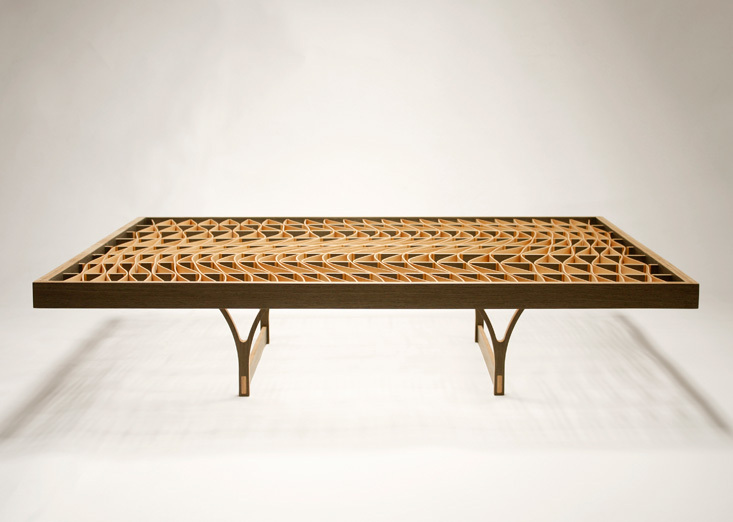 The slender legs of the table are recessed, adding to the visual lightness of the piece. 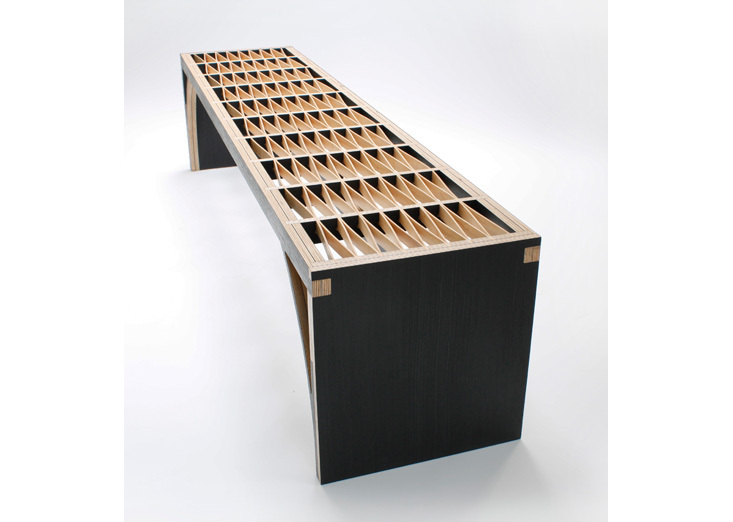 The benches on the contrary, have straight solid sides that provide the necessary structural and visual sturdiness. Both the tables and benches use a custom 3mm thick maple plywood, which has the right combination of flexibility and strength that allows for these structural meshes to be created. The stool has a different approach. Starting from a thick 15mm board, the piece is carved until it is 3.5mm thick, when it becomes flexible enough to bend into shape.